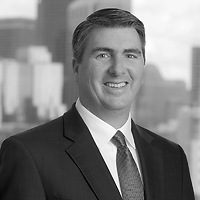 John Loughnane, a partner in Nutter’s Corporate and Transactions Department, authored a chapter in the 2018 Norton Annual Survey of Bankruptcy Law that focuses on the impact of bankruptcy on parties to trademark license agreements. In the “2017 Year in Review,” John analyzes a recent decision from the First Circuit Court of Appeals concerning the rights of a nondebtor trademark licensee when its counterparty licensor becomes a debtor and rejects the parties’ license agreement. In addition, he discusses developments affecting the rights of a debtor trademark licensee when its counterparty licensor seeks to prevent the debtor licensee from assigning the license to a third party.